Lulla Baby takes good care of your baby and keeps your baby dry while contributing to family budget with affordable pricing. 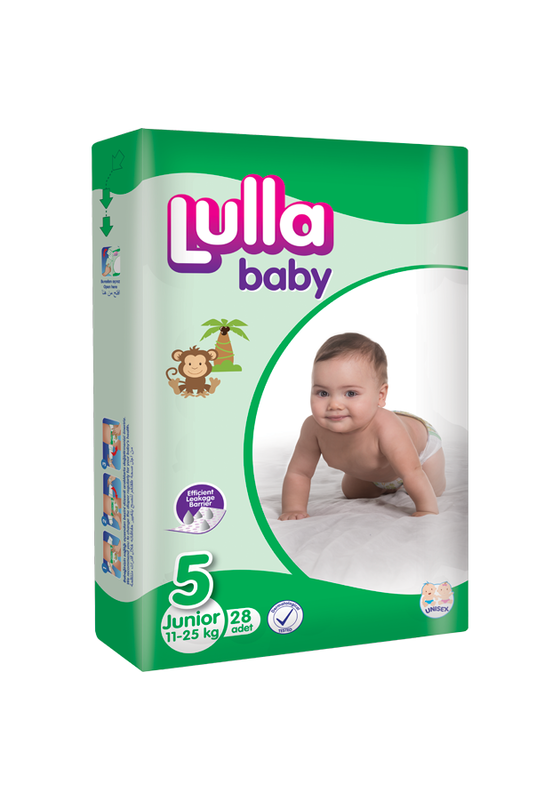 An economical solution providing just enough performance: Lulla Baby. Gently covering the sensitive skin of your baby, the Lulla Baby Newborn does not include any material irritating the skin. 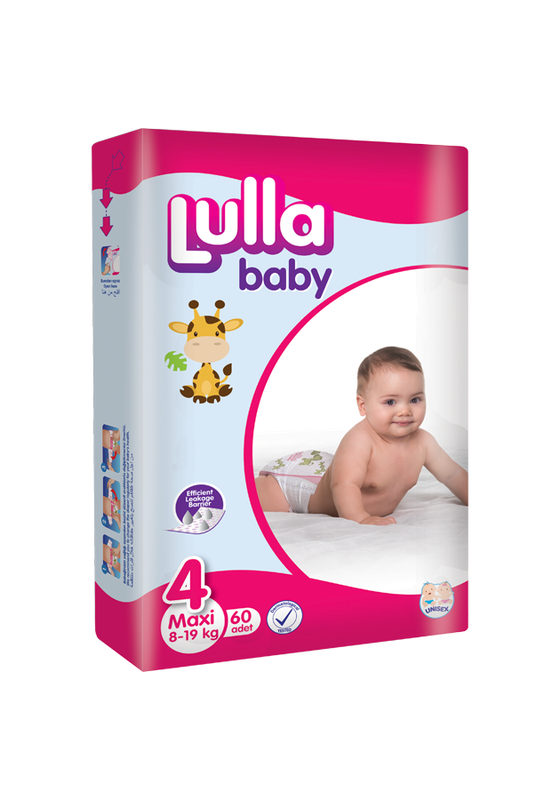 The Lulla Baby Newborn provides the comfort the baby needs at the first days in the world. Lulla Baby Mini provides protection with flexible structure without any limitation to the moves of your baby starting to grow up. While your baby enjoys the funny images at the surface of the Lulla Baby Midi, you can easily replace the diaper of your baby. If you have 2 or more than 2 babies, these images allow you to use time you need. Your baby grows up and becomes to walk each passing day. Protecting your baby while taking steps, the Lulla Baby Maxi makes you and your baby happy with watertight structure. Lulla Baby Jr covers your baby who starts to walk even run and plays games, and it does not restrict moves of your baby with ergonomic structure.